Despite all the weepy songs about relationships that went bad because the wife never got flowers, Sherri Mills says what men are really forgetting is taking shared responsibility around the house. 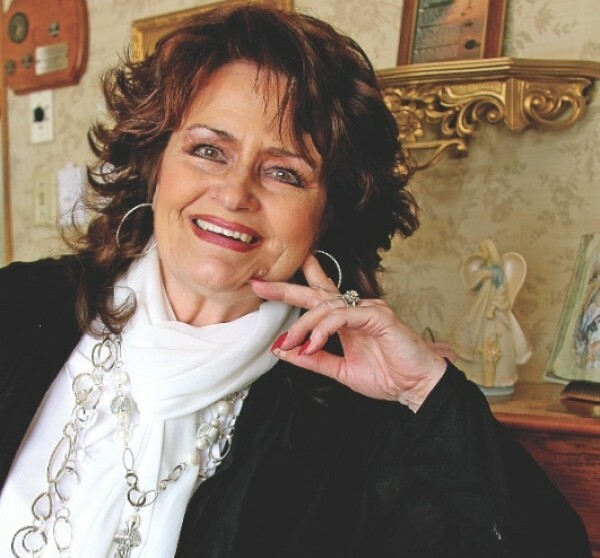 As the owner of a salon in Helper for 45 years, Mills has been the sounding board for troubled husbands and wives of three generations. In 2011, she wrote I Almost Divorced My Husband, But I Went on Strike Instead, and her second book, Marriage 101 for Men: Why Taking Out the Trash is a Turn-On, is out May 14. Why did you start writing relationship books? I started writing because of what was happening—it wasn’t because I wanted to write. I’ve seen life happen before my very eyes. And I’ve seen divorces that really didn’t have to happen. I found out that that a lot of divorces came from two people working, and only one of them comes home and does the home stuff—has a second job. I’d gone on strike a long time ago, and so I decided to write a book about that. I’m trying to change society, because it’s a societal problem. It’s embedded in our culture that women should be responsible for our houses. Why is housework such a big deal? When you first get married, you’ve got plenty of energy and so everything seems fine because you’ve got energy to do it. But then you start getting resentful, start thinking, “He shouldn’t expect me to do all this.” And then when the kids come along, you can’t do all that without it really taking its toll on you. And then the resentment builds and builds. This is even a reason for infidelity. The husband has a lot of time on his hands, and the wife has no time on her hands. Not only that, but she’s not there to do things with him anymore—she’s always doing work, and she’s always haggard because she’s doing work. And it leads to divorce—even if they have other reasons why they get divorced, it can start with this, because the resentment starts up, and then the anger, and sometimes it turns to pure hate. How is it possible that “help isn’t helpful”? I don’t like housework at all, but I like a clean house. That’s one of the reasons I had such a problem. But I did love yardwork. And that’s one of the things I left for him to do. And when he started doing it, he let my flowers die. And I wanted to go out there and do something, but I knew that we’d made this deal, and if I ever started doing it, it would be back on me. And I let it go for about a week and a half and didn’t say anything. And then he could see what the yard was looking like, and he started doing it, and he did it a little different than I’d been doing it, but now, he has such pride in his yard. He keeps it so perfect all the time.Once a person has a specific responsibility, it isn’t something that they do for you, or something that is their toil to do because you told them to do it. It’s his responsibility. He either doesn’t do it and doesn’t have respect for what he’s done, or he does it and feels wonderful about what he’s accomplished. And the second thing happens if you just let it go. Did you really go on strike? Early on in my marriage, my husband was a really good guy, super good with the kids and everything, but he was an absolute male chauvinist. He wouldn’t do anything around the house. We would both be working, and I would come home, and he would be sitting on the couch waiting for me to even open the fridge—that’s how bad it was. He couldn’t even get a drink. I didn’t do anything when my kids were little because I was too busy taking care of them. By the time my oldest son was about 12, I asked myself, “Is this what I’m going to keep doing for the rest of my life?” And I said, “Absolutely not. I refuse to be a slave the rest of my life.” My husband worked at a garment shop, and he dealt with unions all the time. So I wrote up a 10-page union contract. It took me a long time to do because I had to do it in secret to make sure he didn’t even know of its existence until it was all ready. It took me about three months. It covered everything, from getting up in the morning to what happens with every child, what happens on vacation, what happens with each meal. But then it took me about three more months to decide I would never give up. I had to get myself into a position that I knew, whatever happened, I would never give up. How I got to that point was, I was in the middle of fixing dinner, and I’d sent the kids to the store, which was just down the block. I needed an ingredient to finish what I was making. They didn’t come back for about 45 minutes, and they came back with the wrong stuff. And I just blew up. I told them, “You get back to the store.” I really hollered at them. And my husband came running up the stairs and said, “If it’s so important for you to get the right stuff, why don’t you go to the store and get it yourself instead of having the kids do your job?” He’d never done anything like that before, and I thought, “Well, now’s the time.” And I said, “Not only am I not going to the store, but as of this very second, I am on strike. And we don’t need to talk about it, because you’ll find everything down at the beauty shop in a file.” I think he was just totally in shock. He went down to the beauty shop and didn’t come back for a long time. I thought he’d just left. When he came home, I expected him to do nothing, but he decided that he was going to try to do it better than I could. He actually fixed dinner that day and cleaned up the mess. I wanted so bad to go up to him and hug him and say, “Ohh, you’re such a wonderful person,” but I couldn’t. I just had to walk back to the couch and sit down. And that lasted for eight days. We weren’t angry at each other. I decided way beforehand that to make the strike a success, I couldn’t get angry. I couldn’t have any kind of conflict. On the third day, he came stomping into the house and said, “You think you’re going to tell me what to do? You’re crazy!” and ranted and raved. I was really busy talking to myself in the back of my head thinking, “Stay calm.” And I said, “Are you through?” And he said yes. I said, “OK. I will never, ever give up, Gerald. I’ve been planning this for way too long. The very next thing I plan to do is getting some signs and marching up and down this street.” He knew I meant it. He kept doing things for a couple more days, and then he wanted to sign the contract, but he hadn’t read it. So I said, “You’ve got to read it, and you’ve got to show me you’ve read it. And then we’ll have a meeting with the children, and we’ll negotiate.” On the eighth day, he called a meeting with the kids. I said, “I bet you’re exhausted.” And he said, “I am exhausted. But I can’t even believe that you’ve been doing it all along. I can’t believe I put you through that. You’ve been doing this forever!” It was after that that everything turned completely upside-down, and it’s been that way to this day. That was 30 years ago.